It’s never too early to start getting kids involved with environmentalism. They will be growing up in an age of widespread environmental awareness, and they will soon be filled with questions. Kids can start learning about the environment and how to live in an environmentally friendly way and bring those habits into adulthood. One of the most important things parents can do to make their children more environmentally aware is to practice what they preach to the best of their ability. Children learn such a huge amount of behavior from their parents that parents can have a huge impact simply by modeling certain practices for their children. Children who grow up with recycling, composting, and other green practices will view them as normal. Parents can certainly make these kinds of green living practices fun, turning them into activities that they can enjoy with their children. Making environmentalism fun in general will help instill green habits in kids. Getting kids interested in nature can help them become passionate about the environment later in their lives. 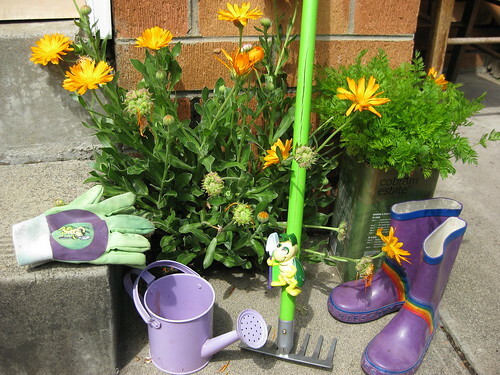 There are many fun projects people can do as a family, while also introducing their kids to green practices. Planting a tree is a fun outdoor activity, and it is certainly a beneficial practice. Parents can explain to their kids about the importance of trees, teaching them about science and green living at the same time. Many parents like to do other hands-on arts and crafts projects with their children. Indeed, these projects can foster creativity, as with many other projects where children actually make things. Parents who do arts and crafts projects can use recycled materials and discarded items, and use them to make things with their kids. While it’s important to make sure that all the composite materials are safe to use and won’t simply be used to create things that will be harder to dispose of later, making things with your kids helps teach them the value of all materials. The media we consume, particularly early in life, will always play a role in shaping our perspectives. Parents who want to raise environmentally aware children can show them nature documentaries aimed at children and even children’s films and books with environmental themes. Many famous children’s books and children’s films have green themes, and are entertaining enough that children may be able to absorb the messages even more easily. Parents can watch the films with their children or read the books with them, and then use them as the starting points for discussions with their kids. There are already plenty of ways to make environmentalism fun for children. They will grow up with memories of sharing green living with their parents. Many aspects of modern culture focus too much on getting rid of things in favor of newer items, often regardless of utility. Parents who choose the most environmentally aware option are that much more likely to raise children who will do the same thing throughout their own adult lives.